54/40 or fight and log cabin.....gifted to a niece. 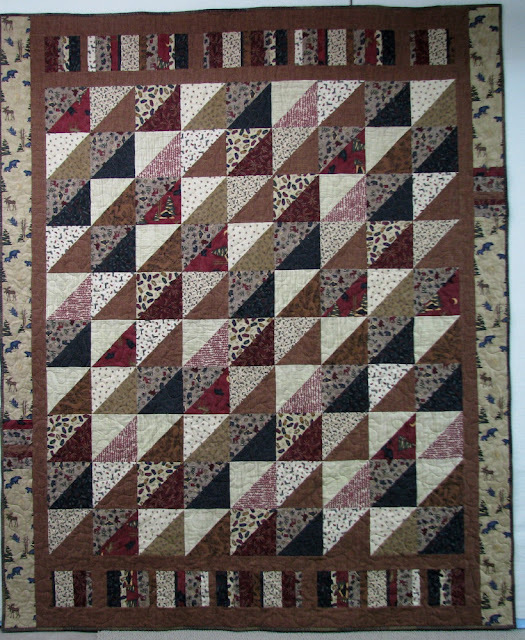 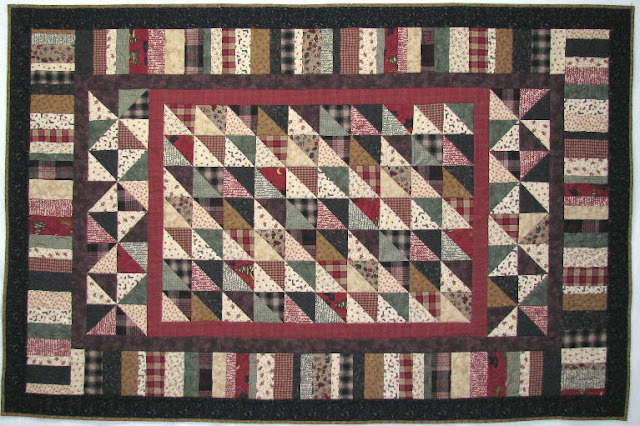 An original design that I have used many times with changes in number of center triangles and sizes of piano key borders. I don't know who has this quilt......I don't keep good records. The three above and two below are all Stack and Slash pattern. This is a great pattern for flannel. 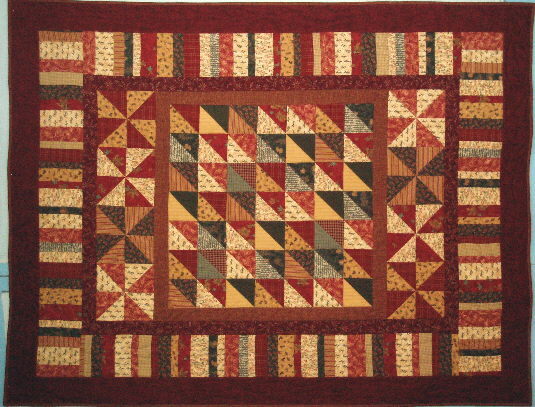 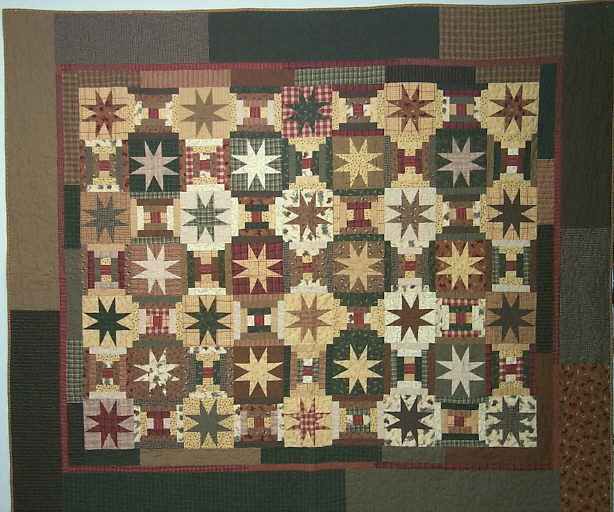 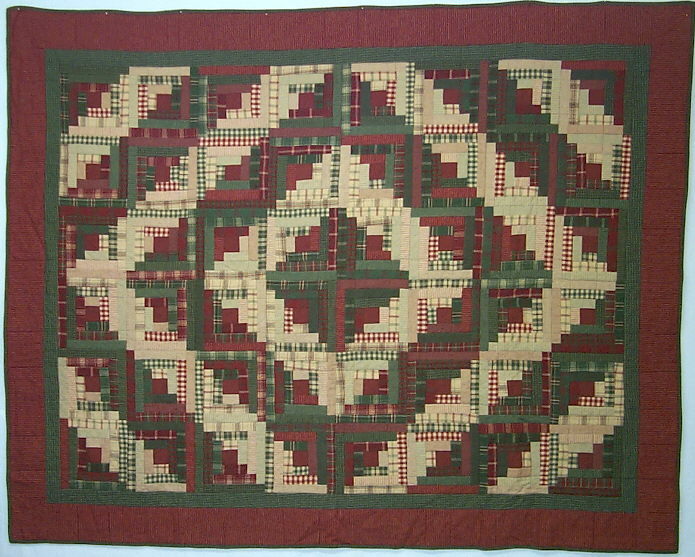 The second above is Buzz Saw, pattern from a Leisure Arts book. 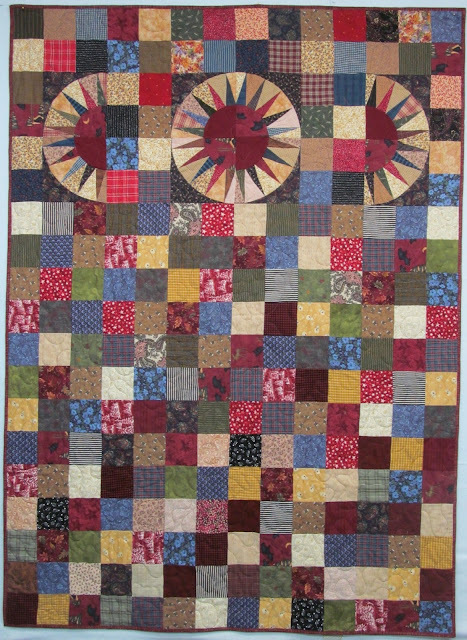 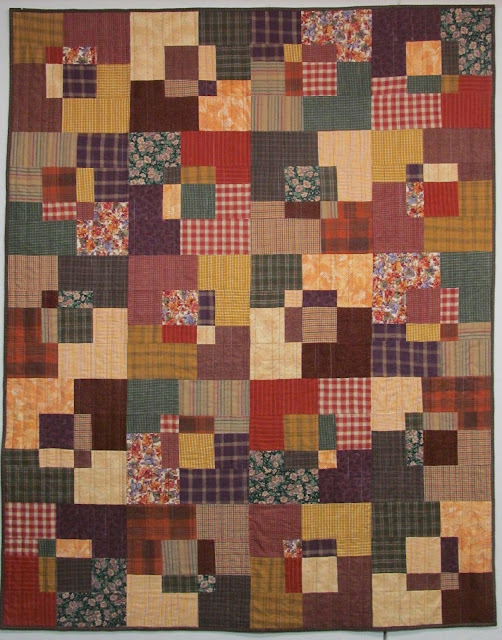 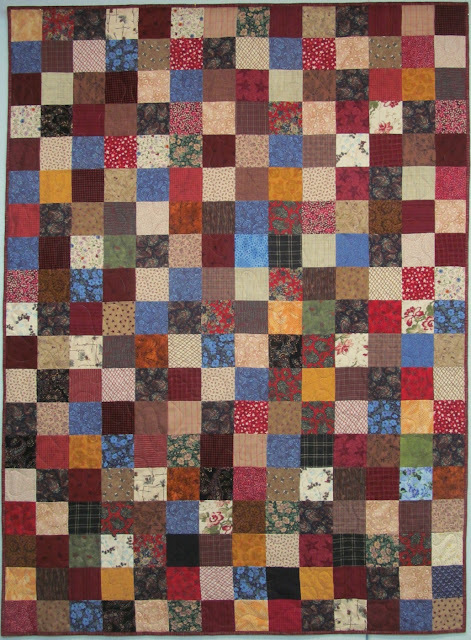 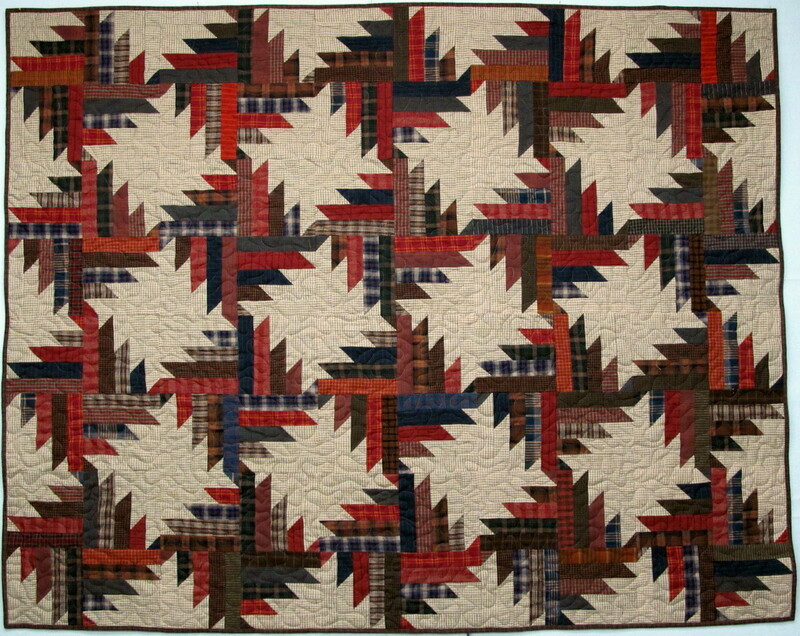 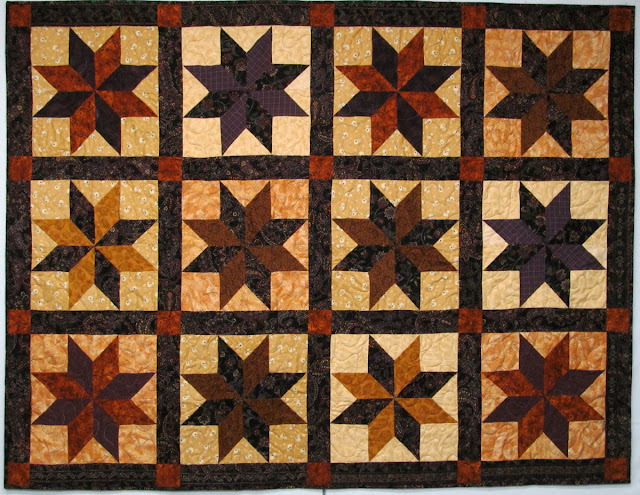 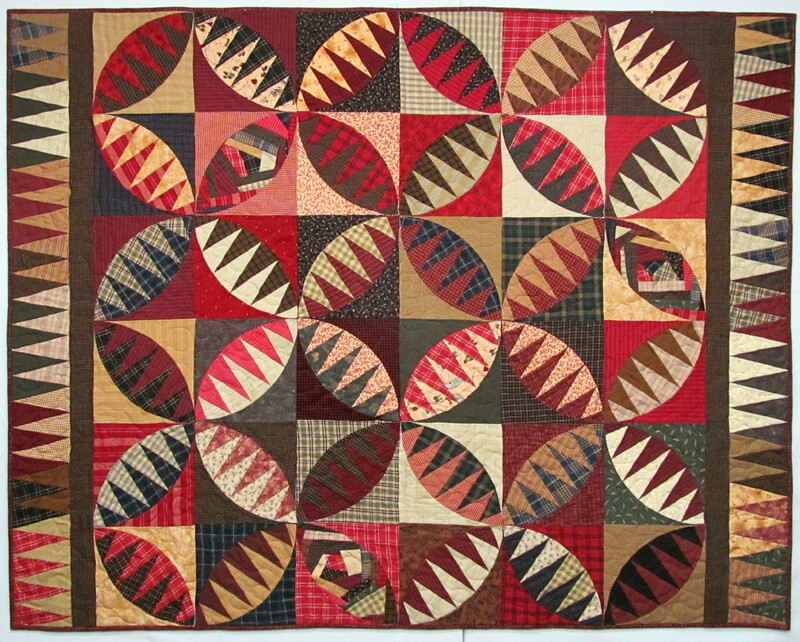 Directly above is a paper pieced pattern by Karen K Stone. 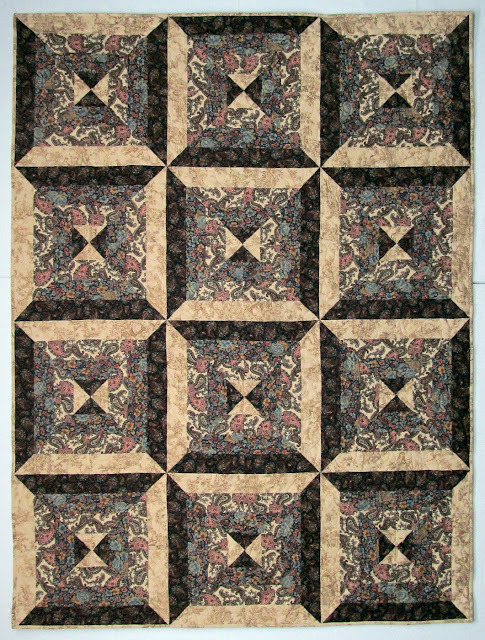 I added three crazy pieced sections to add my own twist to it. The one below is made from my Twisted Rail tutorial. 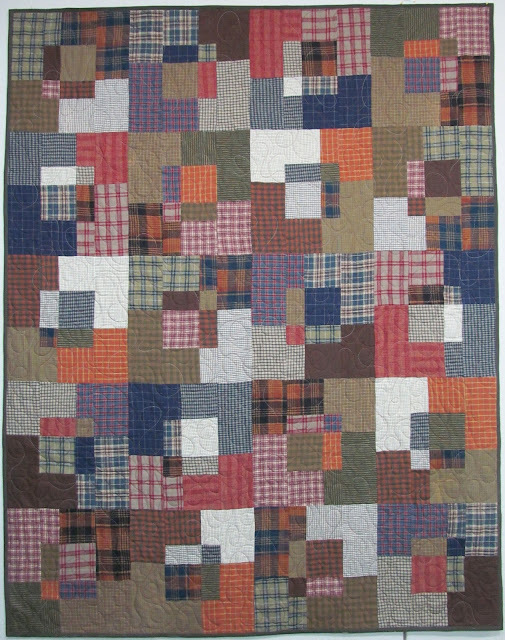 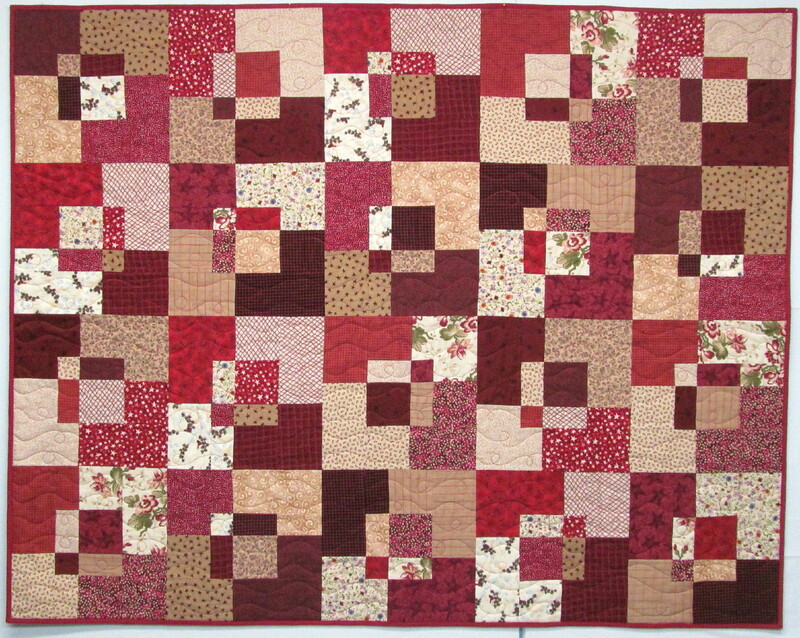 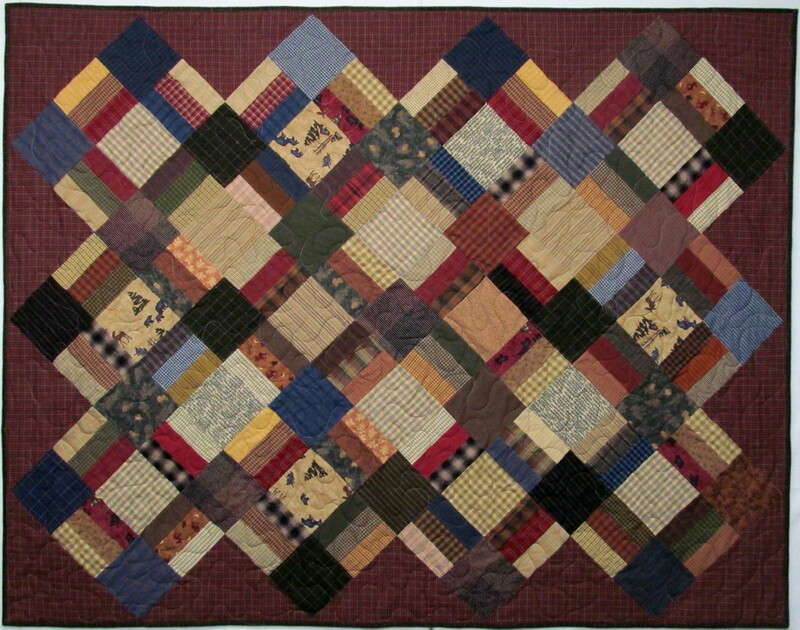 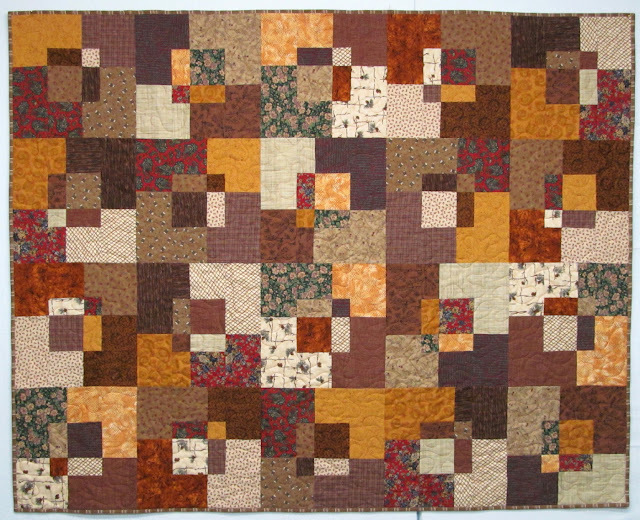 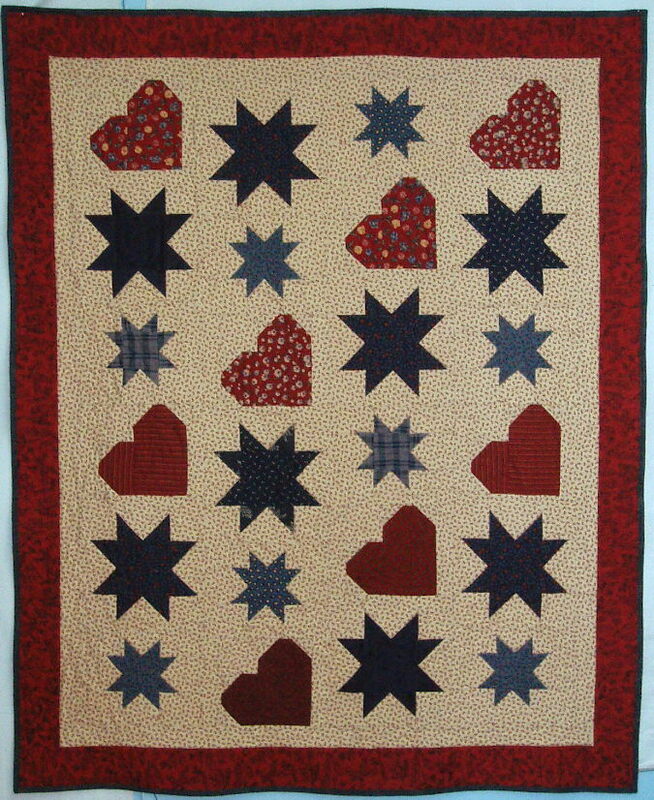 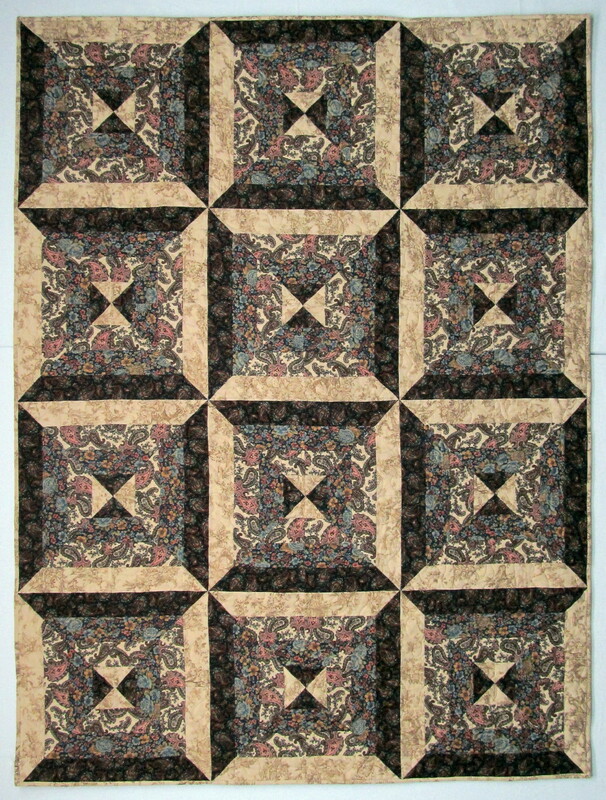 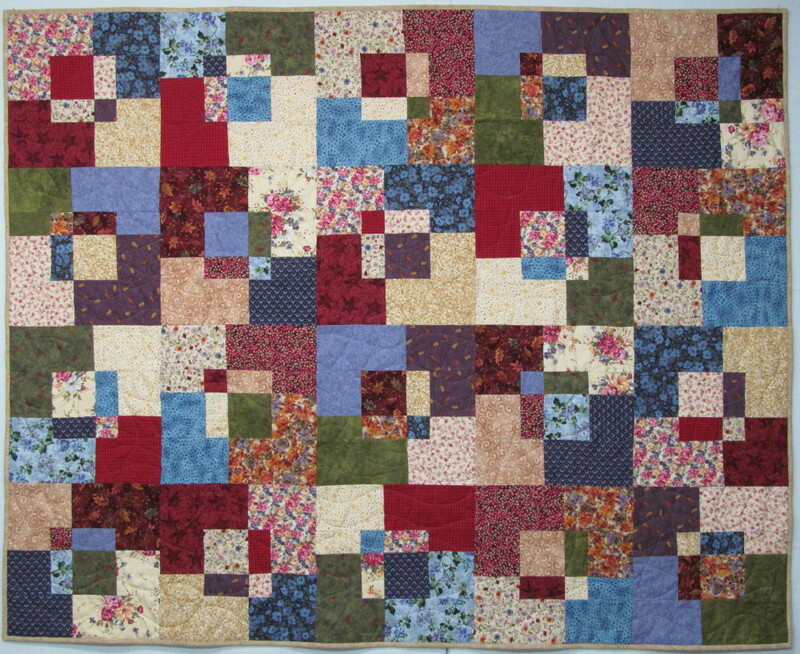 This design is called Windy City from a Sally Schneider book "Scrap Happy". The rest of the squares with a little whimsy added in, paper pieced NY Beauty sections.